f you would like to buy vanadium metal or vanadium semi products or find out our current vanadium price please contact us. About 85% of the produced vanadium is used in the steel industry. Already by adding small quantities of vanadium one can achieve a considerable increase of the strength, toughness and wear resistance. The quantity of the added vanadium depends on the later application of the individiual steel. Titanium alloys, which normally contain vanadium and aluminium, are used for the construction of aircraft turbines. For the first time the later vanadium was discovered in 1801 by the Spanish mineralogist Andrés Manuel del Rio in a Mexican lead ore, the later vanadinite. However, he withdrew the discovery only shortly thereafter, when first Alexander von Humboldt and later the French chemist H.V. Collett-Desotils claimed that due to the similarity to chromium compounds the new element involved was chromium. It was the Swedish chemist Nils Gabriel Sefström who managed to rediscover the element in 1830. He named it after Vanadis, another name for the Nordic goddess Freyja. Shortly afterwards Friedrich Wöhler, who had already dealt with the task at Berzelius, proved the existence of erythronium, the later vanadium. Metallic vanadium was first produced in 1867 by Henry Enfield Roscoe. Vanadium with a purity of 99.7 % was first extracted in 1925 by John Wesley Marden and Malcolm Rich by reduction of vanadium(V) oxide with calcium. 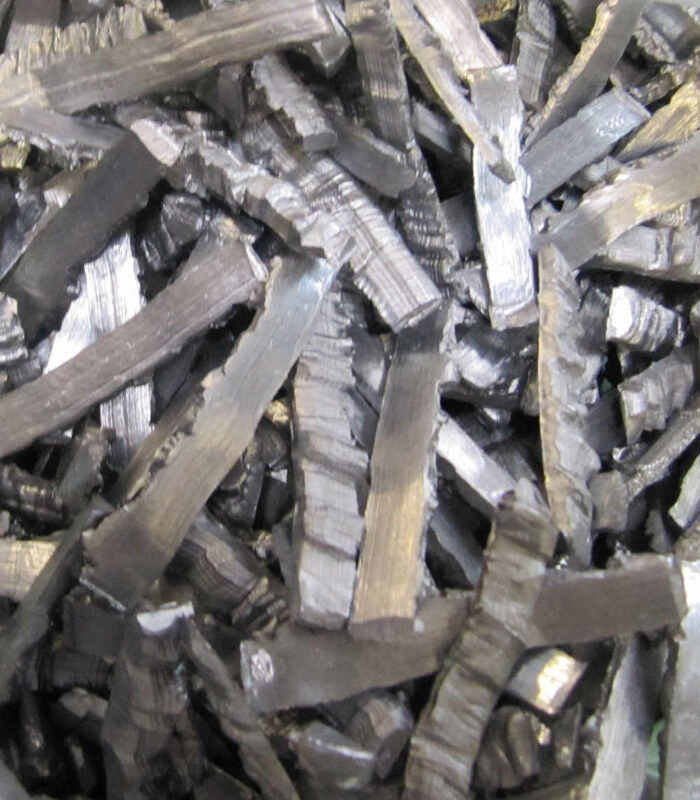 Vanadium was first used in 1903 when the first vanadium containing steel was produced in England. The increased use of the element began in 1905, when Henry Ford processed vanadium steels in automotive engineering. With about 120 ppm vanadium is an abundant element in the earth’s crust. The most important vanadium minerals are above all vanadates like vanadinite, descloizite and carnotite as well as the vanadium sulfide patronite. The biggest quantity of vanadium can be found in traces of other minerals, above all iron ores like magnetite. The vanadium content of titanium magnetite ores normally ranges between 0.3 and 0.8 % but can reach up to 1.7% in some South African ores. In 2008 a total of 56.100 t of vanadium ore were mined (counted as vanadium metal). The most important producing countries are South Africa, China and Russia. Vanadium is a scarce raw material, reserves of 63 million tons in total are known.